Home - J.S. Brown & Co.
At J.S. 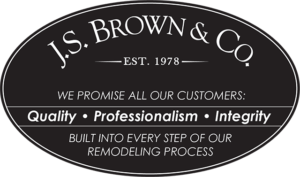 Brown & Co., our goal is to create homes our clients love through a remodeling process they enjoy. Find out how we can improve the value of your home and the quality of your life — without disrupting it.